Protesters rally in downtown Chicago Sunday to stop the escalating violence in the Mideast between Jews and Palestinians. 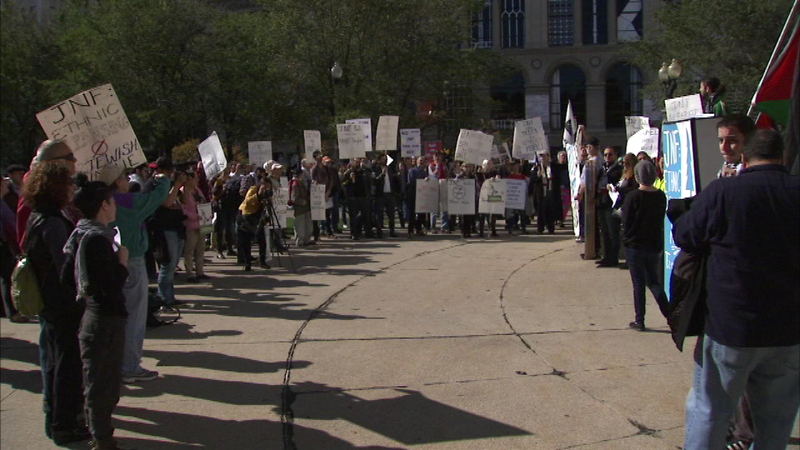 CHICAGO (WLS) -- Protesters rally in downtown Chicago Sunday to stop the escalating violence in the Mideast between Jews and Palestinians. The march was organized by the Jewish Voice for Peace and Coalition for Justice in Palestine. Activists picketed outside the Jewish National Fund Conference at the Fairmont Hotel on North Columbus. Protesters say they are calling on the organization to stop planting trees in an effort to uproot Palestinians.